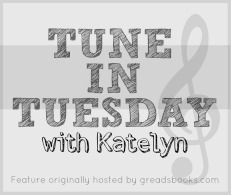 Tune in Tuesday with Katelyn: Is this your name or a doctor’s eye chart? I like this song! It’s got a bouncy, uplifting feel to it, and the lyrics are cute and clever. (The video is also fun, due to the awesome fashions.) I really like Paul Westerberg’s voice, too; he was also the lead singer of the Replacements, a very cool band from the ’80s and ’90s. I’m exploring more of his & their work, and I’m very impressed thus far. Hope you enjoy! Oh my gosh! Over-sized jackets & shoulder pads, how funny! In all seriousness, I am loving this song!